Travel along a path taken by a historical figure is always exciting and many books have been written about those trips. For example Walking the Bible is a journey from Egypt to Jerusalem along the path followed by Moses. Chasing Che is a motorcycle trip along the route that Che Guevera took. Last year some researchers attempted a bronze age trade route from Sur in Oman to Mandvi in Gujarat in a bronze age boat. Recently there was a new book, Ten Thousand Miles Without a Cloud by Shuyun Sun which follows the path taken by Huen Tsang, the Chinese pilgrim who toured India during in the 7th century. Now four Buddhist selected from Chinese mainland, Taiwan, Hong Kong and Macao are planning to retrace the steps of Huen Tsang. The group will carry valuable gifts for Nalanda, including a Liuzu altar sutra embroidered on silk, a Sakyamuni statue and a copy of an ancient Chinese book, “records of the western regions of the tang dynasty” by Xuanzang`s disciple Bian Ji. “The embroidered Liuzu altar sutra is the most valuable gift as it is the only sutra originated in China,” said shi Zhongyao, secretary-general of the trip organizing committee. “Others were all translated from Sanskrit,” he added. Unlike Huen Tsang, these folks don’t plan to walk all that 25,000 on foot since they don’t have time for it. Still it would be an interesting journey and I hope someone makes a documentary on it, similar to the Walking the Bible series on PBS. New archaeological evidence is shifting the timeline of Mayan history. 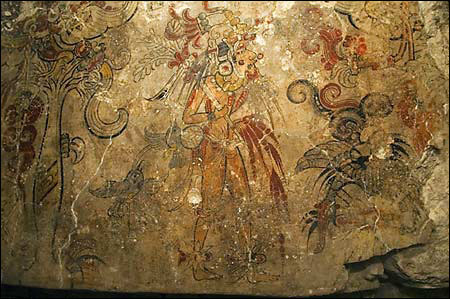 In 2005, archaeologists revealed the final section of the earliest known Mayan mural in the city of San Bartolo in Guatemala. This mural shown above tells the story of creation and the mythology of kinships. This mural has been dated to 100 B.C and thus establishing that Mayans used art and writing centuries earlier than believed. The Classic period dates from about A.D. 250 to 1000. 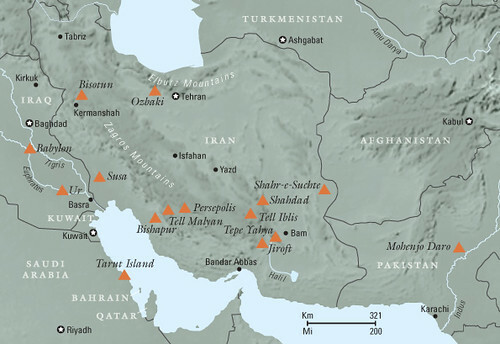 The Preclassic period dates from about 2000 B.C. to A.D. 250. Now the same archaeologist, WIlliam Saturno has found ten bold hieroglyphs painted on plaster and stone from the same site and radiocarbon tests prove that the writing is 100 years older than the murals. This information pushes back the date of Mayan writing to some time between 300 to 200 B.C, around the time the Mauryan empire was in the full bloom in India. For example, glyph 7 is an early version of “AJAW,” a symbol ubiquitously used with kings’ names that means “lord, noble or ruler.” Glyph 2 has vague pictorial qualities and may suggest a hand holding a brush or a sharp knifelike object. 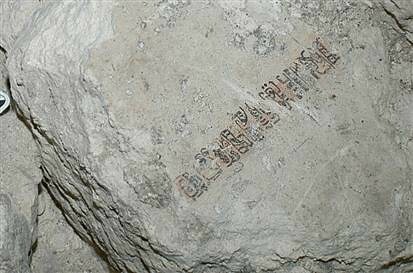 A common problem with dating Mayan writing is that it is often on stone, which scientists can’t accurately date using radiocarbon dating. Instead, they must use stylistic changes to date materials. Archaeology has returned to Afghanistan in a big way. First there was the announcement regarding the Bactrian Gold.. Then there was constant news about the search for a third reclining Buddha in Bamiyan by Zemaryali Tarzi based on a note written by Huen Tsang. Now a Japanese archaeologist team has found some new structures in Bamiyan. A Buddhist residence and a religious meeting place have been discovered from under a huge amount of debris in the Bamiyan province of Afghanistan. (…) Habibolah Takhari, Afghanistan cultural deputy in Iran, says that after one year of the Japanese archaeologists working in Bamiyan, at last two houses have been discovered near the destroyed Buddha statues. According to Takhari, archaeologists believe that these two buildings were Buddhist residences and a place for holding religious meetings. Many ancient civilizations have a flood story in their mythology. There is the story of Noah’s Ark in Judeo-Christian countries and Sumerians have the Epic of Gilgamesh. In Hinduism we have the story of Manu. It is amazing that countries spread so far apart have such similar stories and it does not end there. Another similarity is in the stories of children who were floated in baskets down rivers. Yocheved put her son Moses in a small ark and placed it on the river in which the Pharaoah’s daughter bathed. In Mahabharata, Kunti did a similar thing and sent Karna floating down the river. The book I am reading The Fourteen Dalai Lamas: A Sacred Legacy of Reincarnation has a similar story about King Nyatri Tsanpo, regarded as Tibet’s first recorded monarch. King Tsanpo was Indian by birth, descended from a Licchavi king. When he was born, he had many unusual signs in his body and hence his father put him in a casket and sent him river rafting down the Ganges. The child was rescued by a farmer, and later when he came to know his trip down the river, he was overcome with grief and fled to the Himalayas. He arrived at the Yarlung valley in Tibet and later became the King. This synthesis of genetic evidence makes it possible to understand the divide between the north and the south Indian languages. It appears that the Dravidian languages are more ancient, and the Aryan languages evolved in India over thousands of years before migrations took them to central Asia and westward to Europe. The proto-Dravidian languages had also, through the ocean route, reached northeast Asia, explaining the connections between the Dravidian family and the Korean and the Japanese. To see an animated version of human migration, visit the site of the Bradshaw Foundation. The theory that India was the cradle for all non-African people will be pretty hard to digest for many people.